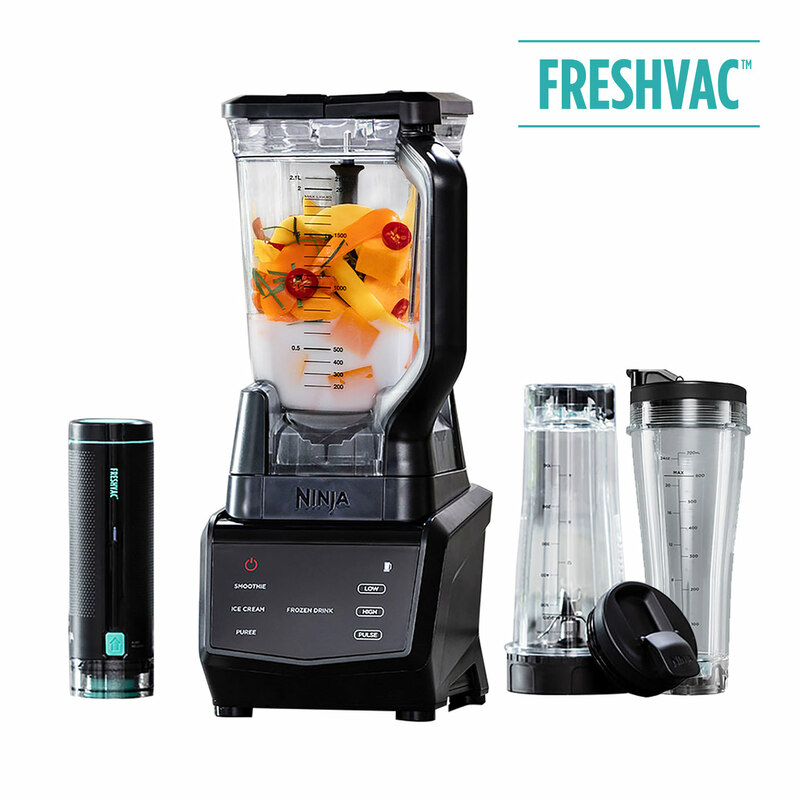 Experience the FreshVac difference with Ninja’s 2-in-1 touchscreen blender. 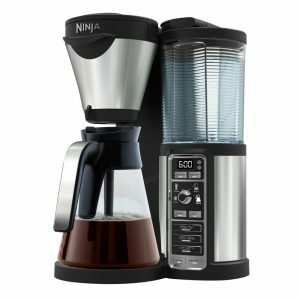 New vacuum blending technology creates bright, smooth drinks with less foam and less separation than traditional blending. 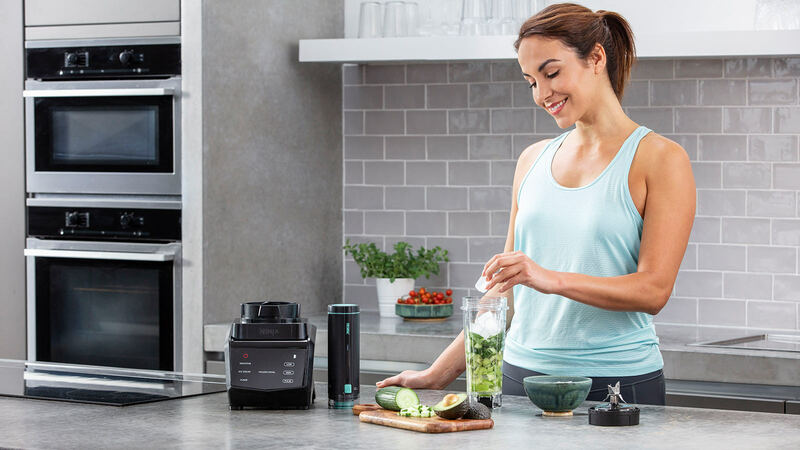 Complete with single-serve Nutri Ninja cups, large multi-serve jug and pre-set blending programmes, easily whip up smoothies, sauces, desserts, dips and more. 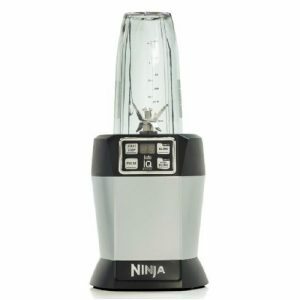 Ninja 1100W Smart Screen Blender with FreshVac Technology CT660UKV has been added to your basket! 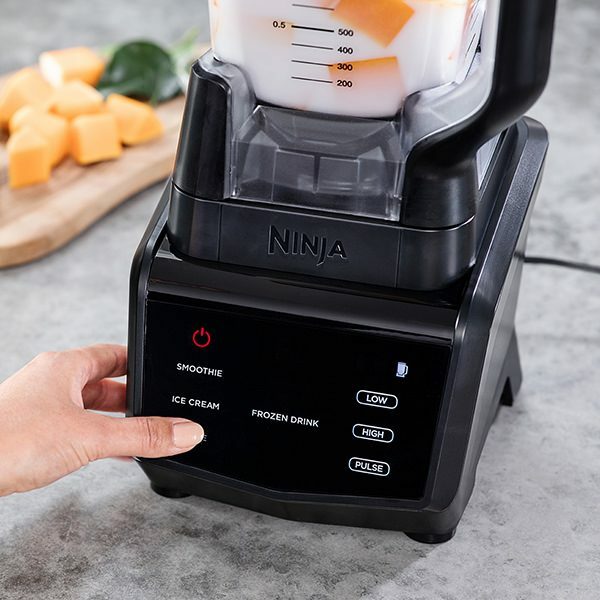 Blend healthy smoothies and nutrient-rich drinks, or create tasty dips, desserts, sauces, soups and even frozen cocktails with this this 2-in-1 jug blender and Nutri Ninja. 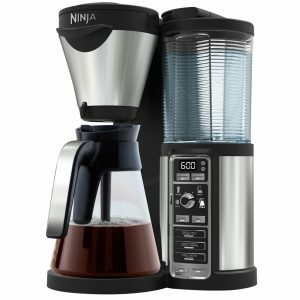 Say hello to bright, smooth drinks with brand new FreshVac Technology from Ninja. 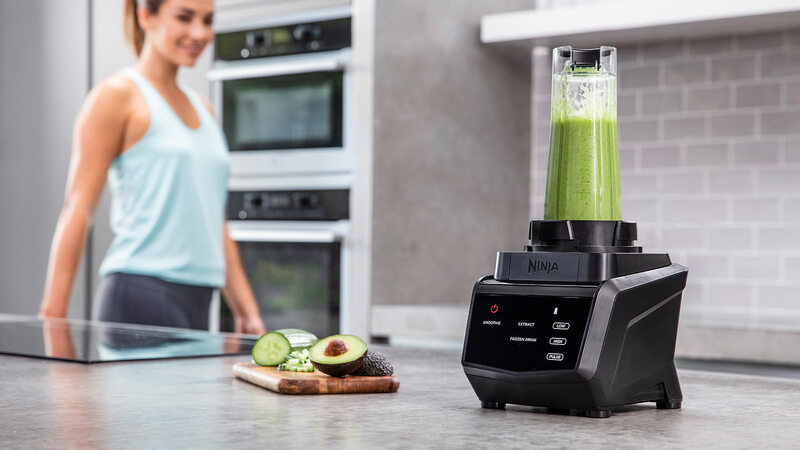 Complete with a large-capacity jug for multi-serve blending, this 2-in-1 blender and Nutri Ninja also creates single-serve smoothies to take on-the-go. Oxygen can cause the discolouration and separation of fruits and vegetables when blended. Vacuum blending removes excess oxygen before you blend. The result is a visibly brighter drink with a smooth texture, rich taste, less foam and less separation than traditional blending. How do I use FreshVac? 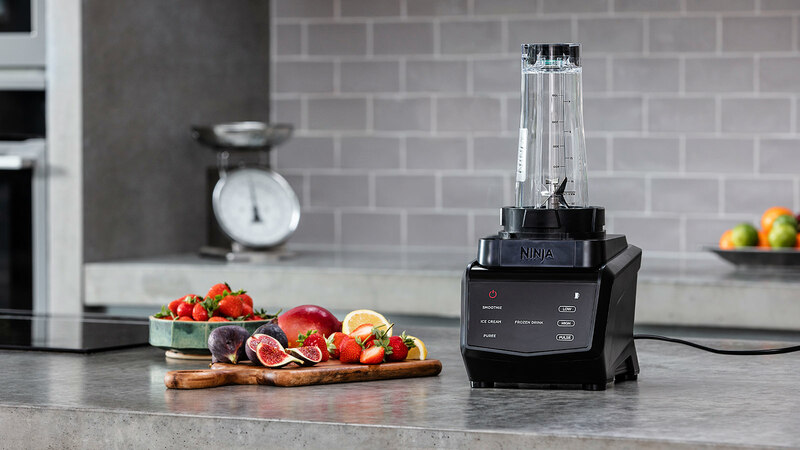 Simply add your favourite ingredients to the multi-serve pitcher or a Nutri Ninja cup, then vacuum seal using the included FreshVac Pump before blending. Multiple pre-set programmes and Auto-iQ Technology blending patterns promise smooth results every time, taking the guesswork out of blending. 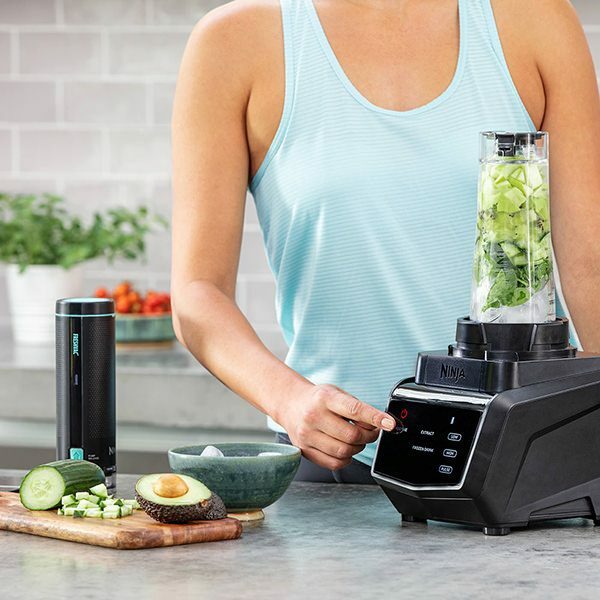 Controlled with a sleek Smart Screen LED display, it’s easy to whip up delicious, cool drinks bursting with all the vitamins and nutrients found in your favourite whole fruits and vegetables. 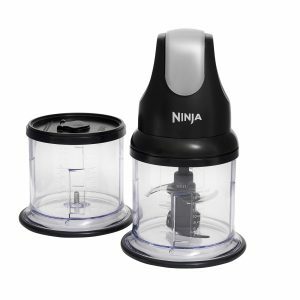 A powerful 1100-watt motor drives specially-designed Ninja blades to blend even the toughest nuts, seeds and even ice. 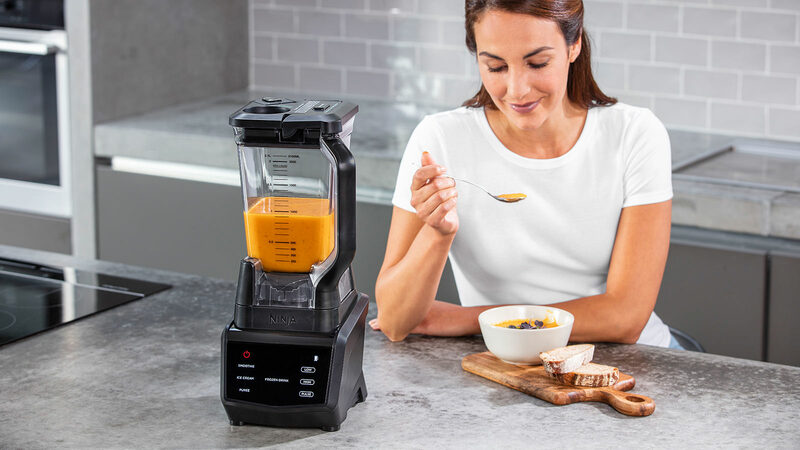 Perfect for blending healthy fruit smoothies, post-workout drinks and breakfast smoothies to take on-the-go, this 2-in-1 blender is also great for making tasty dips, desserts, sauces, soups and even frozen cocktails to share. 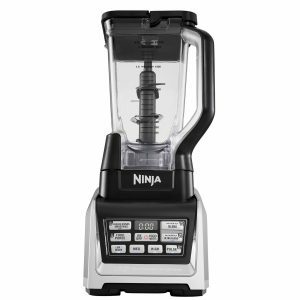 Ninja 1100W Smart Screen Blender with FreshVac Technology CT660UKV is rated 4.8 out of 5 by 57. Rated 5 out of 5 by Lee B from So much power! I've had cheaper blenders in the past but they can't compete with this one! 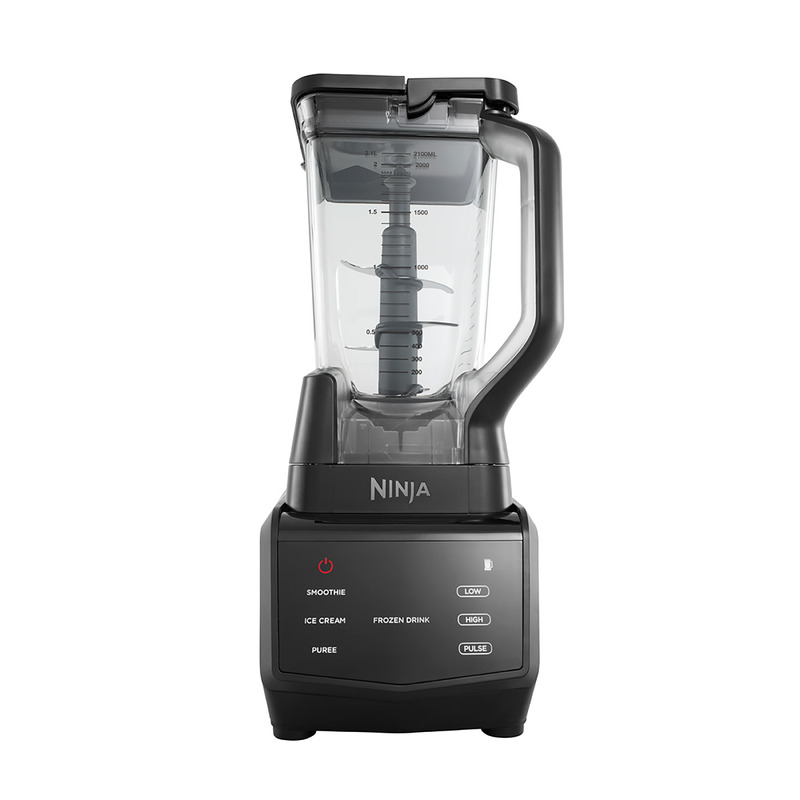 We've mostly used it for smoothies and it cuts through frozen fruit easily, even on the lower power setting. The pump (FreshVac) works really well with the personal sized cups because it produces nice thick smoothies. In comparison, my old blender would make a frothy shake, that would be double the volume, which isn't ideal as it wouldn't fit in a glass and didn't have the same satisfying texture. Favourite recipe: frozen strawberries, whey protein powder and milk (or ice cream if I'm feeling naughty). 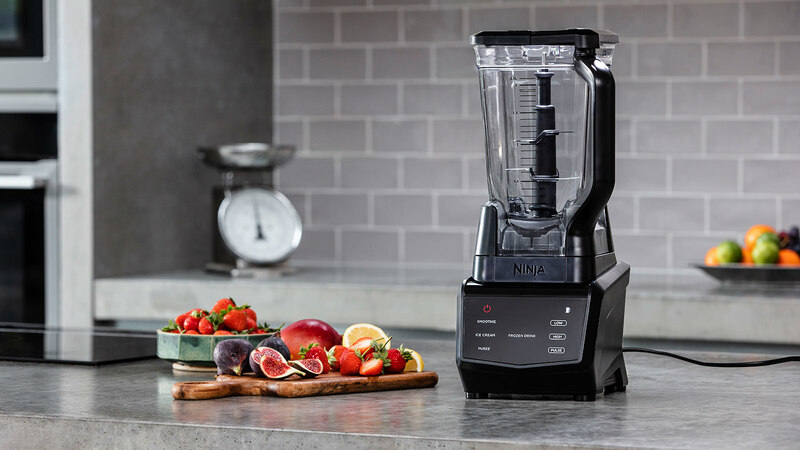 Rated 5 out of 5 by Caolan84 from Superb blender We have used a number of blenders and took a punt on the Nimja after our 12 month old Nuribullet bit the erm...bullet! 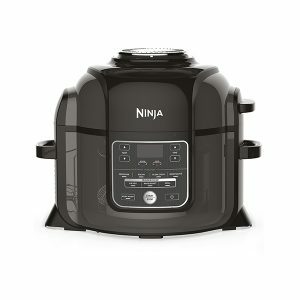 It was evident straight away that the Ninja was a superior product. Robust, blends pretty much anything and the IQ options are super handy - particularly for someone lacking natural culinary skills like me! 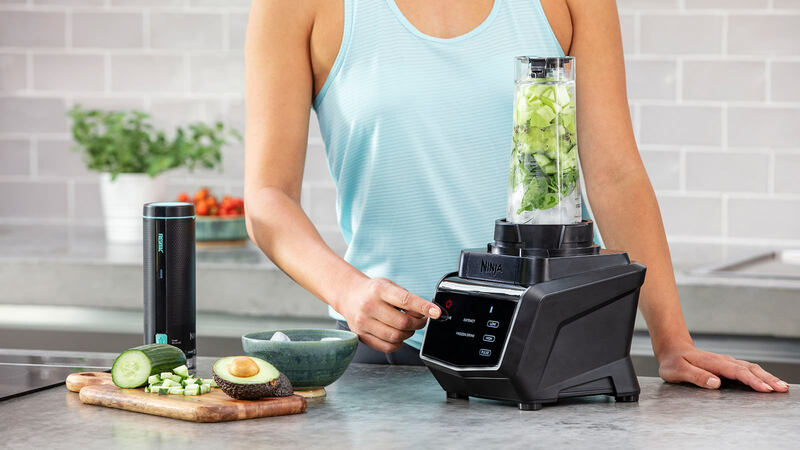 We've used it daily for smoothies, baking and cooking and so far have been extremely impressed. Oh and for what it's worth, it looks great too! Highly recommended. Rated 5 out of 5 by KirstyP from Excellent product It comes with a selection of different attachments, including the fresh vac attachment, all of which are easy to assemble and clean. The modern design fits nicely in my kitchen--I love the touch screen feature... Something I previously thought may cause problems. We use it almost daily as it does everything we need it to. Including blending ice well for shakes and smoothies. Easy to use, works fast and efficiently- it is very loud, but this hasn't been an issue for us. Rated 4 out of 5 by Courgettiblogetti from Very noisy but very fast Whilst I am yet to understand the purpose of the oxygen pump as I trialled it once and it didn’t seem to work this machine is super powerful. The large contained whizzes up cooked veg to soup in a few seconds, making it so much smoother than any hand blender I would have used before! The smaller containers are the perfect smoothie size, and I pop in a metal straw through the lids provided if I’m on the go. In terms of what it’s made for, it’s perfect, but make sure not to use it early in the morning as you’ll wake the house hold up! 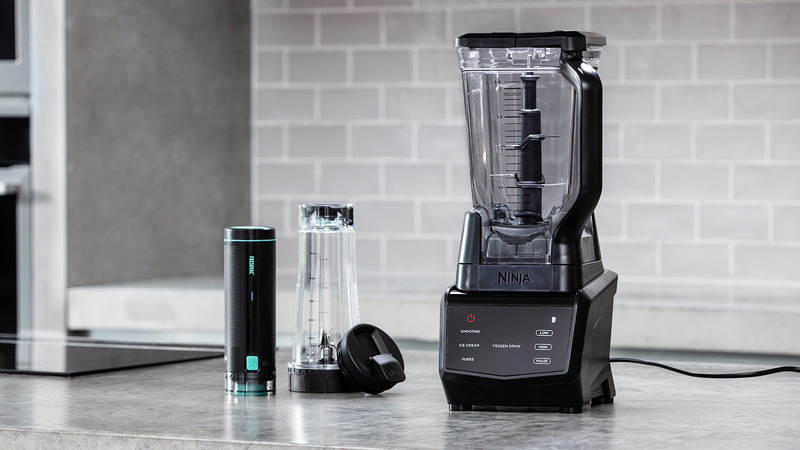 Rated 5 out of 5 by Jimmy from Just Awesome Got this a few weeks ago now, and I must say its by far the best blender i have used, definitely worth investing in a top product. This will not let you down. Rated 5 out of 5 by NATGG from Excellent Product Phenomenal product with plenty of different options. 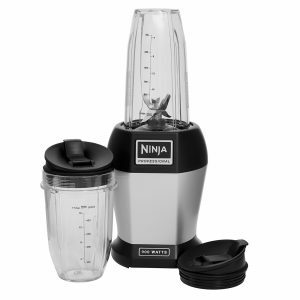 Ideal for smoothies and very quick and easy to use. 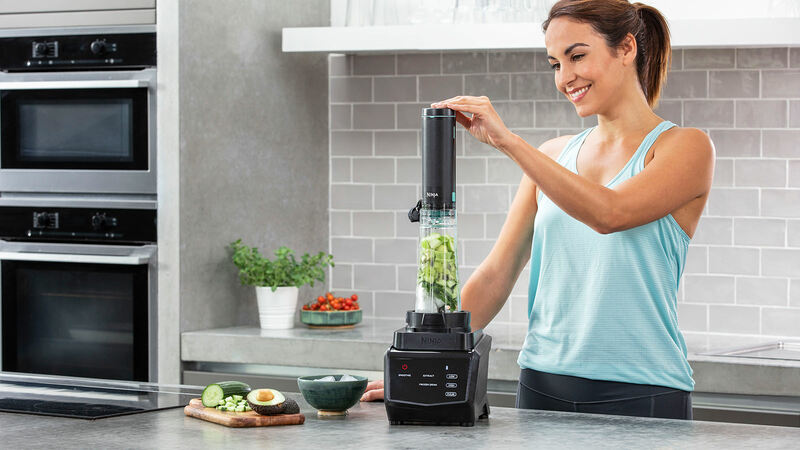 Rated 5 out of 5 by Dugmore from Excellent I'm so happy with this blender, as a family we use it for many different things, smoothie's, soups and so much more.